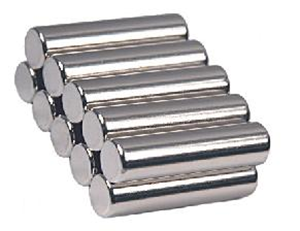 We are effluent manufacturer of Magnetic Rods in India. These are long circular magnets where the length is equal to or greater than the diameter. Our Magnetic Rod finds application in Precision magnetic sensors for balance, Guitar pickups, Sensitive Relays and transformers. 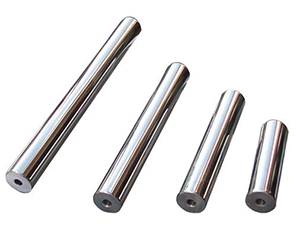 Supplying wide variety of Magnetic Rod as per client requirement, these rods are idyllic for recessing into a drilled hole in a holding or sensing application. A Magnetic Separator Rod proves to be beneficial in removing iron chips and turning from deep cavities in heavy casting. Our rods are manufactured to be placed at critical points of the efficient and applicable equipment in adverse condition. Our Rod Magnetic is essentially used in magnetic separators, AC, DC, servo motors, agricultural industry, plastic, pharmaceuticals and chemical industries. Rod Magnets have a classic cylindrical design which gives strong flux output and are stable at high temperature. It has an ability of removing ferrous contaminants from the area which is difficult to reach. These rods are used for the separation of Tramp Iron like Ring Travellers, Nut-Bolts and bale straps from cotton in the blow-room operations. Moreover, it’s also supportive for assembly shops, garages and maintenance jobs. It saves valuable time.